When you are planning to modify your house from tile roofing to concrete roof, you should consider of your house contraction base. If your old house don't support with strong buffer construct, you should prepare this first before you prepare the concrete frame. 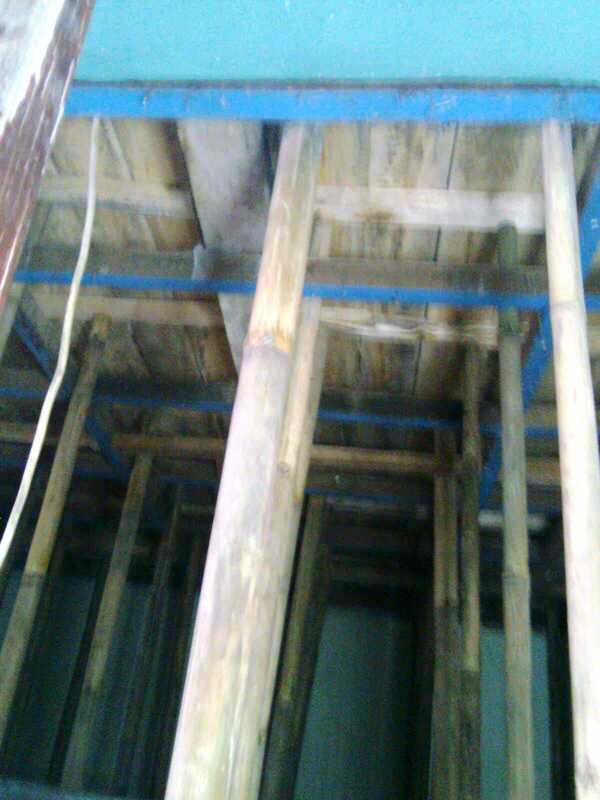 You must change your old support concrete with new strong one, after that support have build you can start to build the frame construction for your roof concrete. Be attention of the joint of your new concrete to your old house, if the steel concrete is lie on the old wall that support your house, you must support your house first before your break your old support. Your house can be falling down if you don't pay attention to this modification. Your temporary support for your old house should be strong enough, so you will don't disturb with further problem. If every support have prepared, you can start to create frame for your new concrete. 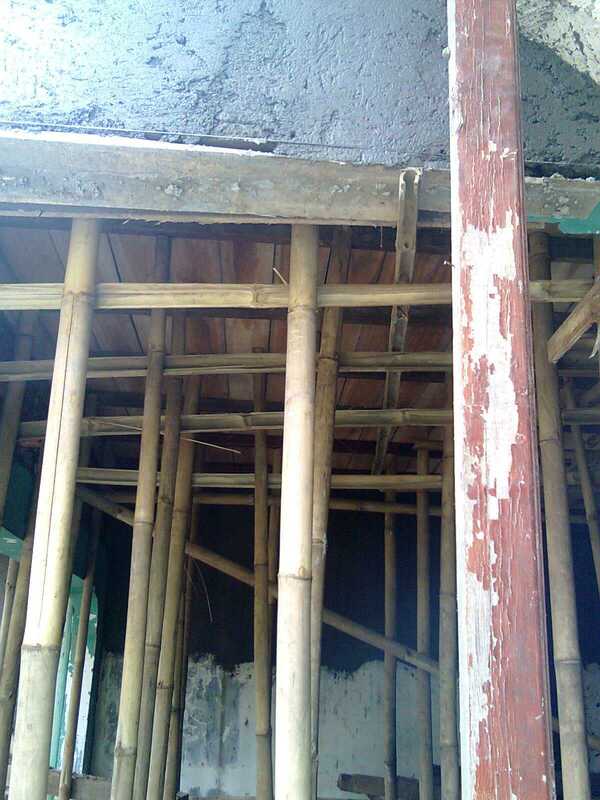 As on the above picture, you can create support for concrete by using of bamboo to support your new concrete. Either of cheap this bamboo support also no easy to break to support your new concrete. 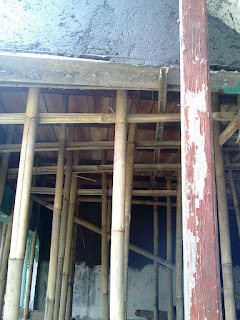 After about one week after concrete, the bamboo support can be loose one by one.